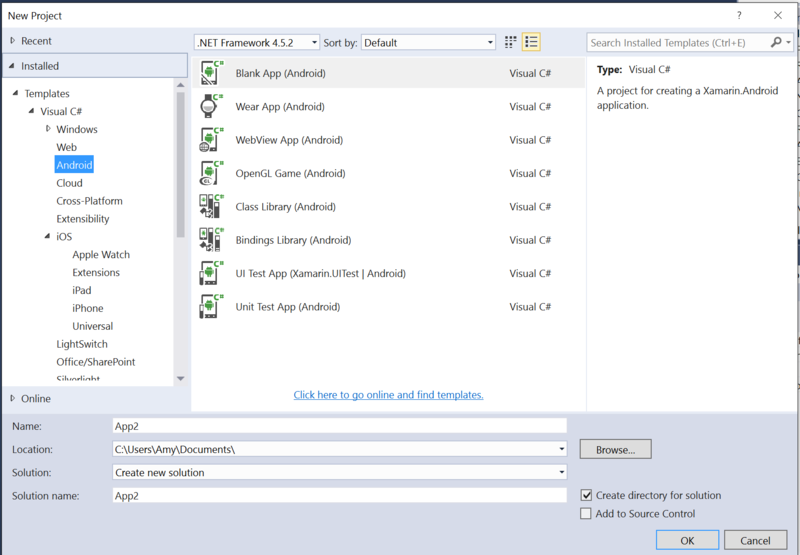 Xamarin.Android allows you to create native Android applications using the same UI controls as you would in Java, except with the flexibility and elegance of a modern language (C#), the power of the .NET Base Class Library (BCL), and two first-class IDEs - Xamarin Studio and Visual Studio - at their fingertips. Browse to File > New > Project to bring you up the New Project dialog. Give your app a Name and press OK to create your project. Browse to File > New > Solution to bring you up the new project dialog. 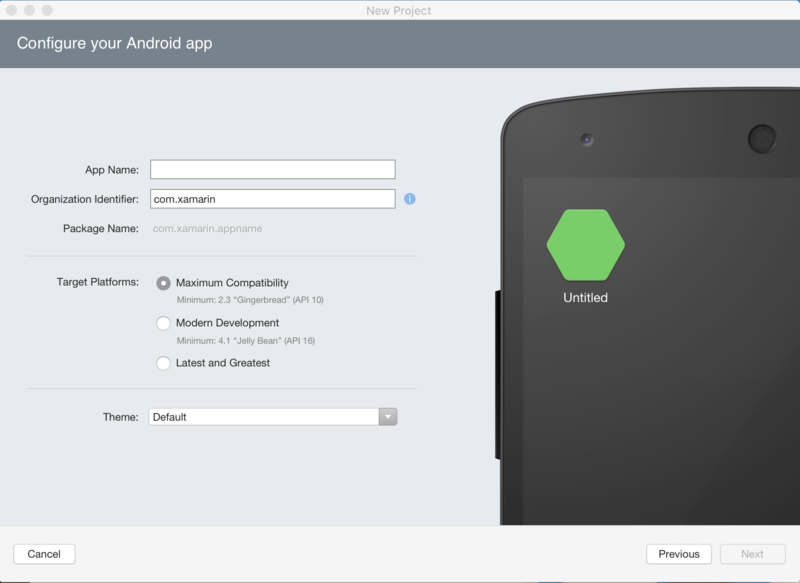 Select Android App and press Next. Set your Project name and Solution name, or leave as the default name. Click Create to create your project.